Breaking DRM or ripping Blu-Rays discs is a crime In the United States. While there are fair use exemptions, these don't apply to the public at large. Interestingly, filmmakers themselves are now urging the Copyright Office to lift some of the current restrictions, so that they can make the films they want. The major movie studios are doing everything in their power to stop the public from copying films. While nearly every movie and TV-show leaks on the Internet, these companies still see DRM as a vital tool to prevent piracy from spiraling out of control. Technically speaking it’s not hard to rip a DVD or Blu-Ray disc nowadays, and the same is true for ripping content from Netflix or YouTube. However, people who do this are breaking the law. The DMCA’s anti-circumvention provisions specifically forbid it. There are some exemptions, for educational use for example, and to allow for other types of fair use, but the line between legal and illegal is not always clear. Interestingly, filmmakers are not happy with the current law either. They often want to use small pieces of other videos in their films, but under the current exemptions, this is only permitted for documentaries. The International Documentary Association, Kartemquin Films, Independent Filmmaker Project, University of Film and Video Association and several other organizations hope this will change. In a comment to the Copyright Office, which is currently considering updates to the exemptions, they argue that all filmmakers should be allowed by break DRM and rip Blu-Rays. According to the filmmakers, the documentary genre is vaguely defined. This leads to a lot of confusion whether or not the exemptions apply. They, therefore, suggest to apply it to all filmmakers, instead of criminalizing those who don’t identify themselves as documentarians. “Since 2010, exemptions applicable to documentary filmmaking have been in effect. This exemption has helped many filmmakers, and there has been neither evidence nor any allegation that this exemption has harmed rightsholders in any way. “There is no reason this would change if the ‘documentary’ limitation were removed. 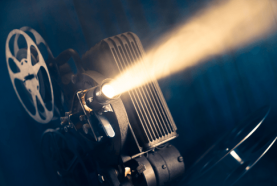 All filmmakers regularly need access to footage on DVDs and without an exemption to DVDs, many non-infringing uses simply cannot be made,” the groups add. The submission includes letters from several filmmakers who explain why an exemption would be crucial to them. Filmmakers Steve Boettcher and Mike Trinklein explain that they refrained from making a film how they wanted it to be, fearing legal trouble. Their film included a lot of drama elements and was not a typical documentary. Another filmmaker, who wants to remain anonymous, plans on making a hybrid documentary/narrative feature about a famous film duo. Without ripping the clips he needs, this movie is never going to be made. These are just two of many examples where filmmakers show that they need to break DRM and rip content to make the work they want. The MPAA and others have previously argued that these changes are not required. Instead, they pointed out that people could point their cameras or phones at the screen to record something, or use screen capture software. However, these are not viable alternatives according to the filmmakers, as the quality is inferior. They, therefore, call on the Copyright Office to expand the exemption to cover all films and filmmakers.